36 Young Farmers have raised over £6,000 for charity, thanks to their efforts in this year's Great Birmingham Run. As part of this year's Chairman's challenge, supported by Young Farmers Clothing, the team of "Hannah's Dashers" completed the well-renowned half marathon, raising money for numerous vital causes, including FCN, RABI and MacMillan Cancer Support. 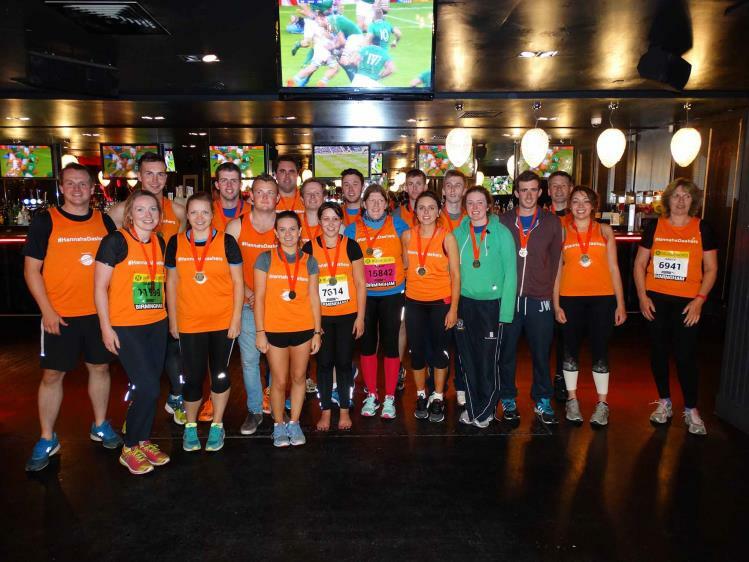 It was a hugely successful event for Young Farmers, with everyone crossing the finish line unscathed. National Chairman, Hannah Talbot, set the challenge at the start of the year, to showcase the generous nature of Young Farmers when it comes to raising funds for vital causes. She said: "I was overwhelmed by the endurance of each and every one of our runners. It was a tough course and I know that preparations weren't easy for many of them given how busy they are with their clubs and counties. Everyone raised money for charities close to their heart and the whole team effort was a small snap shot into the many and varied ways that YFC supports local communities every week of the year." Click here to see the best photos from the day.